Ever since Brigitte Bardot filmed the 50s classic Et Dieu… créa la Femme (…And God Created Woman) in St. Tropez, this small fishing village became a jet-set favorite. Set on the clear blue waters of Saint-Tropez bay, about 100 km west of Nice, the town has a population of almost 6,000 people that soars to 60,000 during the summer. 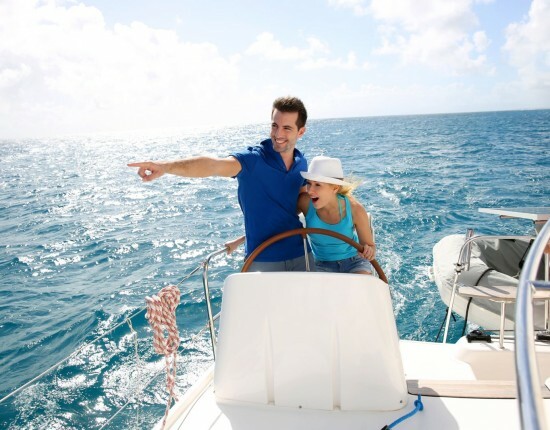 The Vieux Port is lined with luxury yachts and packed with tourists who come here to admire them. 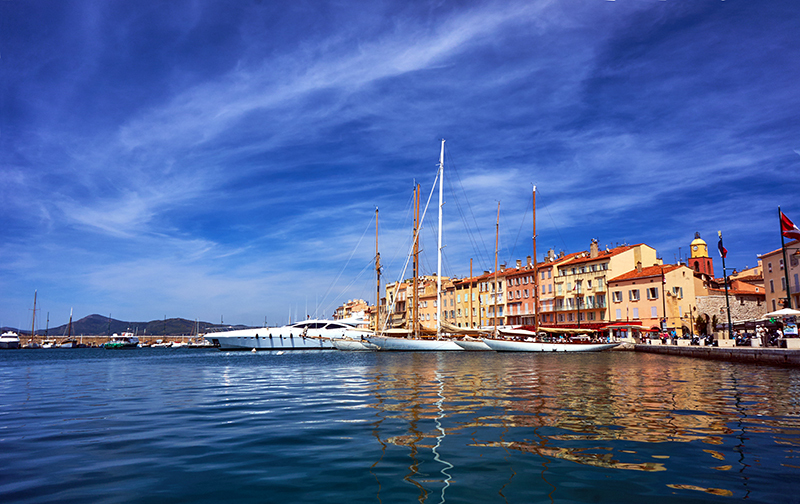 St. Tropez is the rare small town where you can find the latest designer fashion along with quaint local shops. 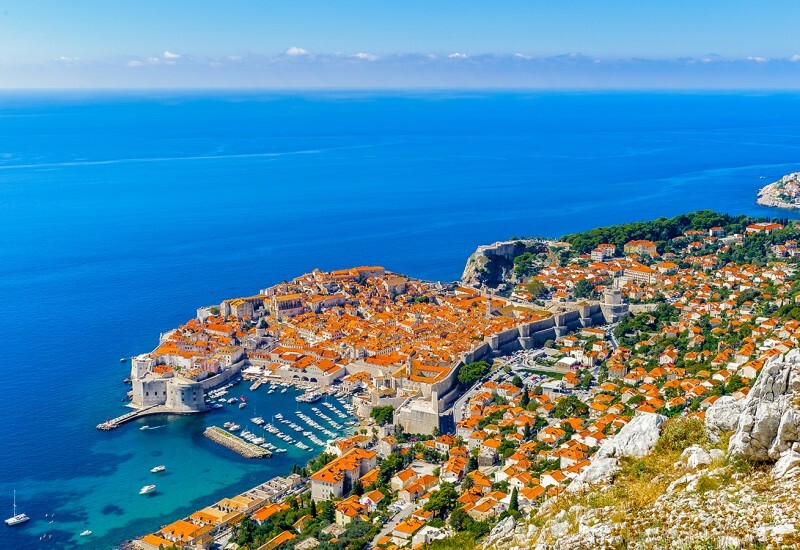 Not that you need a reason to spend a holiday here, but it is the most famous seaside town in Europe, a filming location for many European and Hollywood films. Strictly speaking there’s not much to see in St. Tropez, the point is more being there and mingling with the crowd. 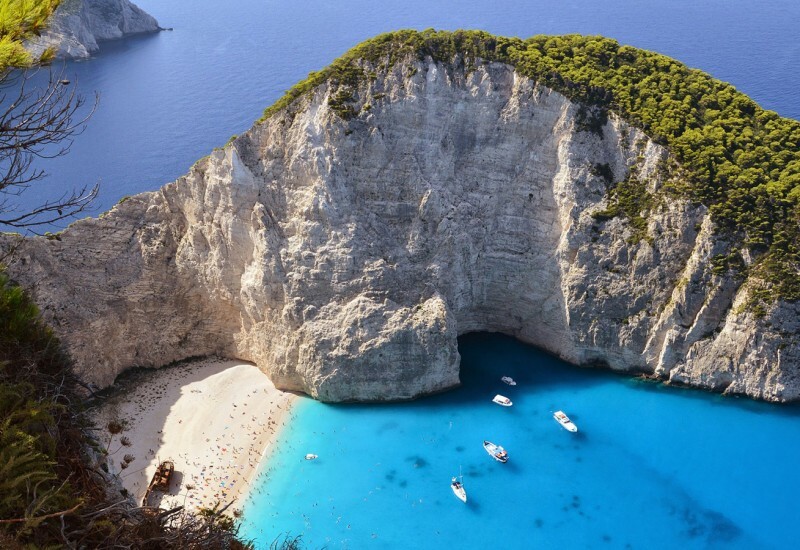 The local beaches are world famous for being clothing optional, none more so than Tahiti beach. Pampelonne beach, about 5km south-west of Saint-Tropez, is the location of many famous clubs and a perfect celebrity sighting spot. The old town and harbor still have hints of a fishermen’s village charm, you can take a seat on the terrace of L’Opera and look out at the harbor and the church. Close to St. Tropez, Gassin is a medieval village that entered the Guiness Book of Records with the smallest road in the world. 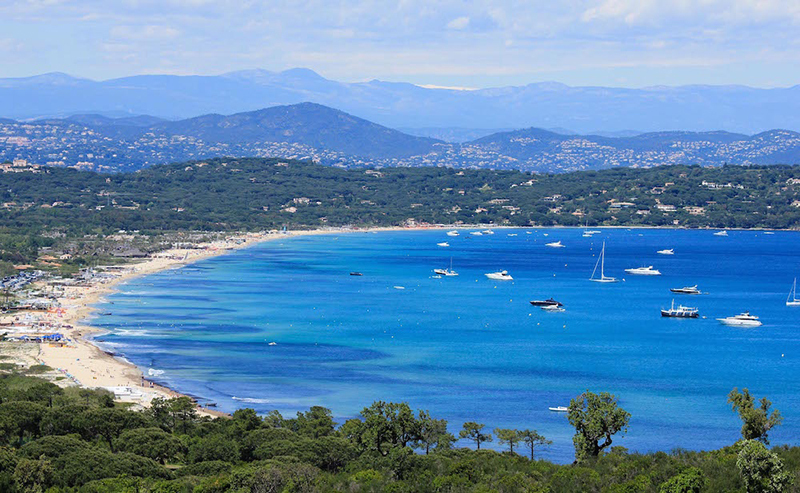 The entire St. Tropez peninsula, with its rocky coastline and woods, is a spectacular place with views across the sea to the Maures Mountains. 1. Air travel. Most visitors arrive at Nice Airport (95 km away) and then take the bus to St. Tropez, while the closest airport is La Môle – Saint-Tropez (15 km) that offers only seasonal flights. Another nearby airport is Toulon–Hyères (52 km). A local helicopter charter flies between Nice, Monaco and Cannes as well as other spots on the Riviera. 2. Boat travel. Ferries connect St. Tropez with other towns on the French Riviera and cruise ships regularly stop here. The ferry from Cannes arrives in the morning and goes back in the evening, so St. Tropez is a popular day-trip destination. 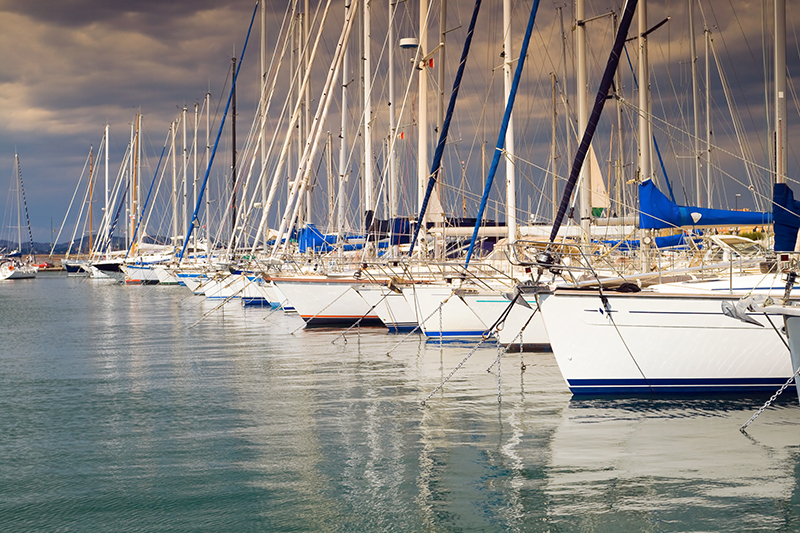 The two marinas in town have approximately 800 berths. 3. Bus travel. The bus station in St. Tropez is called Gare routière de Saint-Tropez and it’s located in Place Blanqui. There are direct connections with St. Raphael and Cannes. Public transport in St. Tropez includes mini buses, which also operate lines between town and Pampelonne beaches. 5. Train travel. The closest train station to St. Tropez is in St. Raphael, where regional and national trains stop. There is a bus line from St. Raphael to St. Tropez. 6. Planning your time. 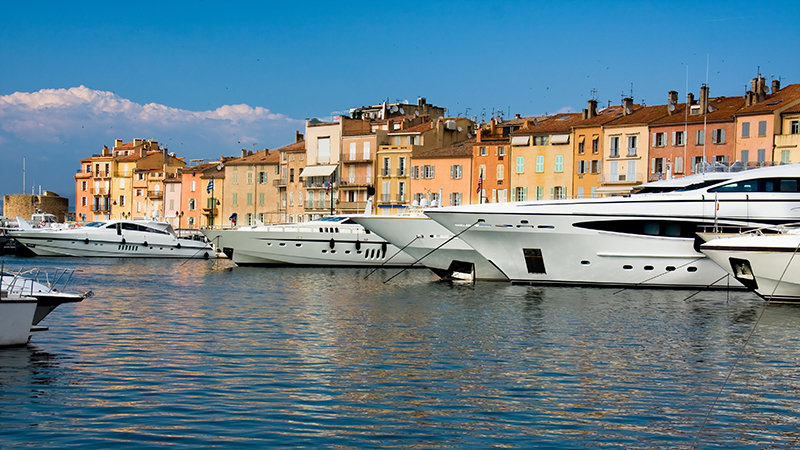 You can go about St. Tropez at your own pace since there’s not a lot of ground to cover. 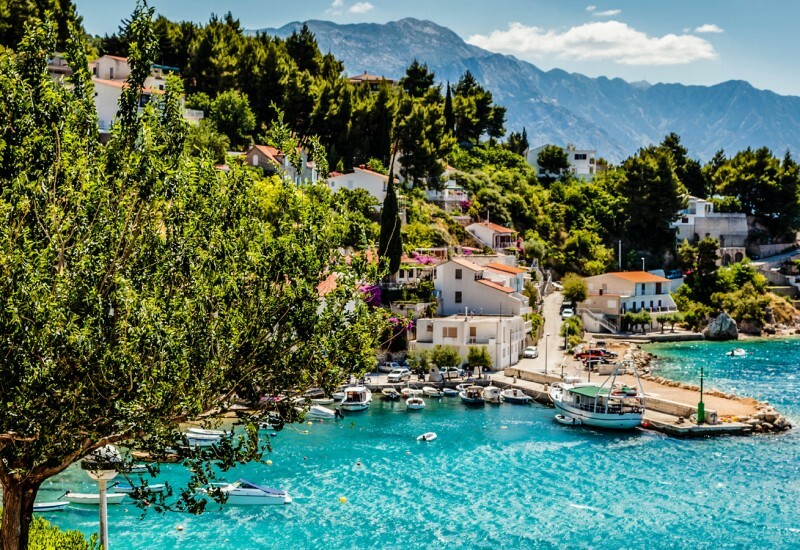 Take a few days to visit the nearby villages and explore the coastal area, it’s well worthwhile. 7. When to go. 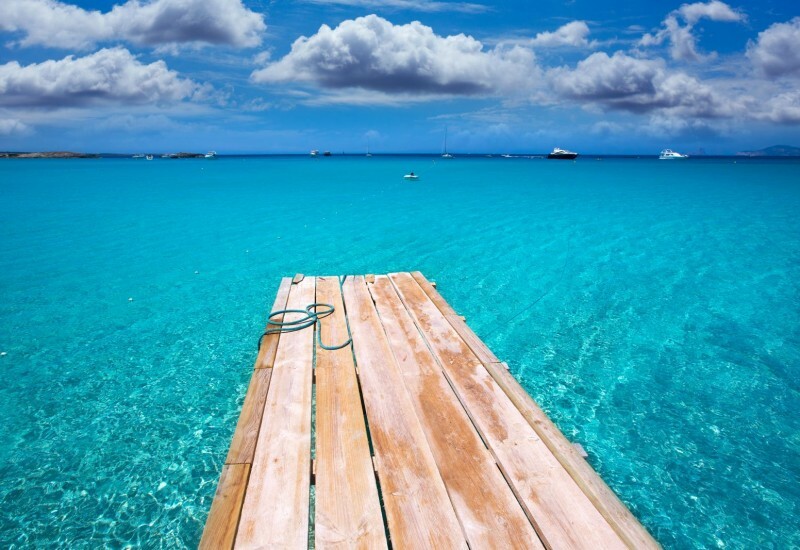 With its privileged location on the French Riviera, St. Tropez is an ideal destination from May to October. The high season starts in June and ends in September, you should avoid it if you’re looking for a quieter time. 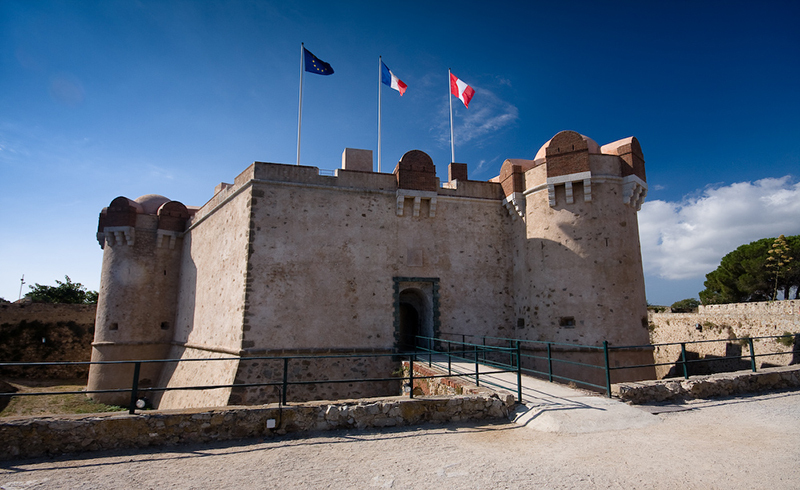 the medieval towers guarding the port: Portalet, Jarlier and Suffren (the oldest building in St-Tropez, from the 15th century). Shopping. 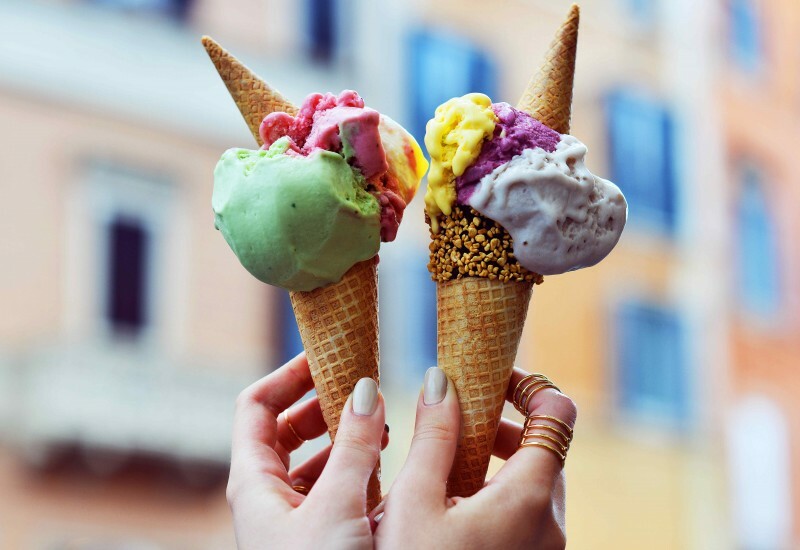 In the triangle between Place des Lices, Rue Gambetta and Rue Allard you will find exactly all the international designer names alongside local shops. 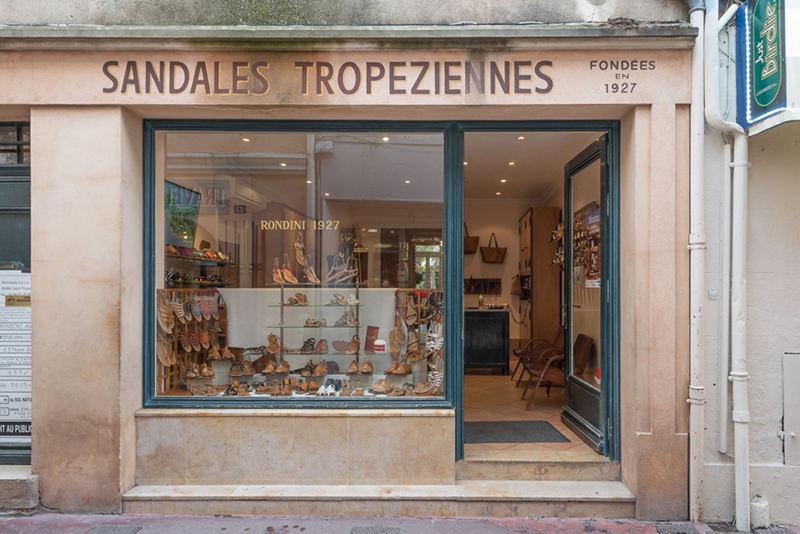 Capri is not the only place to have a clothing item named after it, in St. Tropez you’ll find the Tropézienne sandals. The Rondini and K. Jacques families have been making them since the 20s, you can pick up a quality pair starting at 120 euro. A big shopping event in St. Tropez is the morning market on Place des Lices every Tuesday and Saturday, where you can find many food items from Provence, souvenirs and various other things. Wine has always been a major contributor to the local economy and remains one even today, when it has been surpassed by tourism. The area around St. Tropez is full of vineyards and you’ll find many a large selection of local wines at La Cave de St Tropez on Avenue Paul Roussel. If you visit in October you’re in luck because then, the largest stores hold an annual super discount called La Grande Braderie. Nightlife. 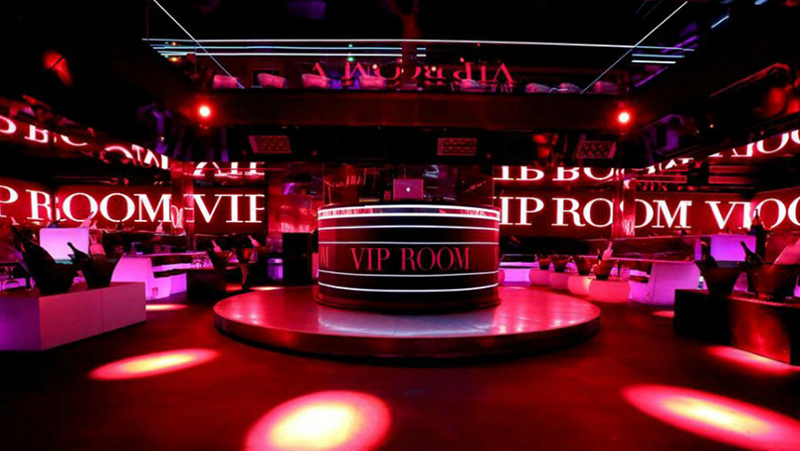 Start your night with a drink in one of the bars on port, and then hit the dancefloor at one of St. Tropez’s famous nightclubs. You can tell that Les Caves du Roy at Byblos Hotel is the crown jewel by the long line to get in. If you manage to get in, be prepared for flashing colors and lights, electric palm trees and drink prices starting at 30 euro. VIP Room at Résidence du Port has a white minimalist design, you might bump into Giorgio Armani or Karl Lagerfeld here. The line is just as long and the prices comparable to Les Caves. Papagayo on Passage du Port is both a nightclub and a bar/lounge for breakfasts and coffee. It has one of the best terraces in St. Tropez looking across the port. Bar du Port is an amazing location on the seafront that likewise opens early in the morning and functions as lounge for the day. During the night it’s a club known for its music and lightshows that reflect off the many mirrors. Le Tsar is a country style bar lounge with a nice terrace overlooking the port, it has a cozier atmosphere due to its smaller size. 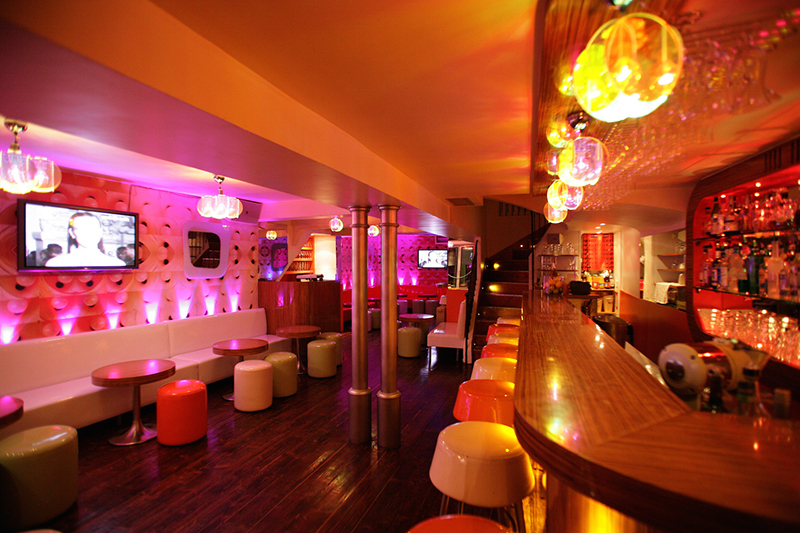 Chez Maggy on 5 Rue Sibille is one of the few clubs open all year-round. It offers fresh Mediterranean food and a music-bar atmosphere, themed evenings, and live music on Sundays. Performing arts. St. Tropez has an important place in the history of modern art, with Paul Signac, Matisse, Pierre Bonnard and Albert Marquet just a few of the painters who found inspiration here. A modern art collection can be found at Musée de l’Annonciade. Les Voiles de Saint-Tropez is a regatta held every year at the end of September. A highly recommended place nearby is Les Gorges du Verdon, a river canyon that is perfect for rock climbing. 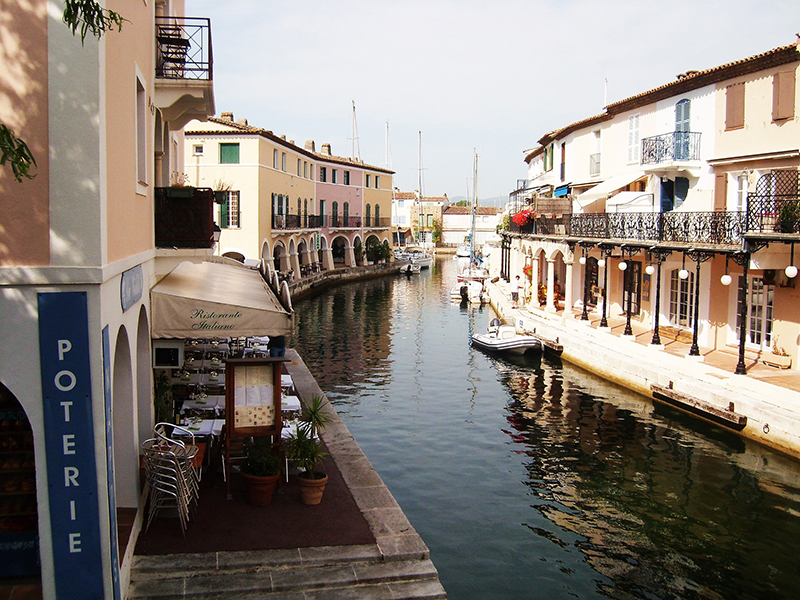 Port Grimaud, also known as the French Venice, is a small seaside town created by architect Francois Spoerry in the 60s. If you enjoyed the work of famous French comedian Louis de Funes, whose most famous role was a policeman from St. Tropez, take a look at Musée de la Gendarmerie et du Cinema that pays tribute to the film making industry and the local police (gendarmerie in French). 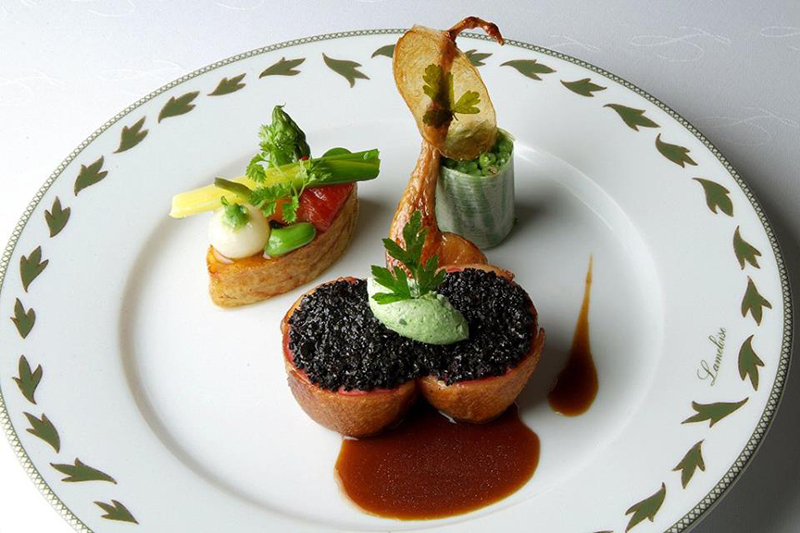 Au Caprice des Deux, a Provencal restaurant that calls its cooking style “bistronomique”. 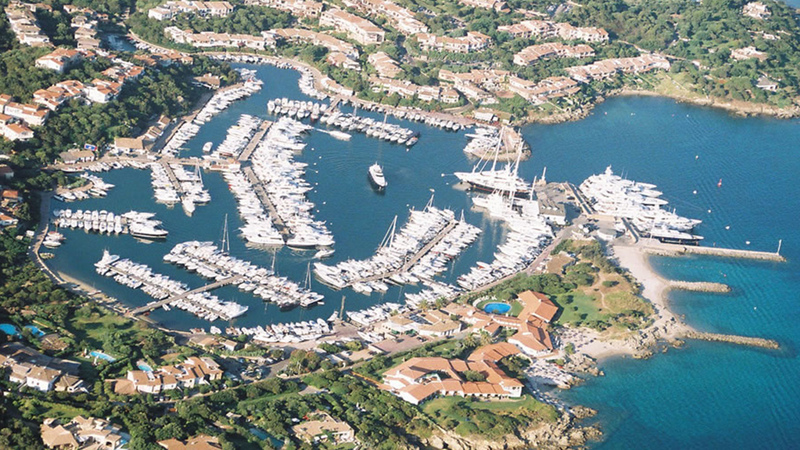 We recommend the following marinas in the St. Tropez area: Port de Nice (known as Port Lympia), Port of Cannes, Port de Golfe Juan and Port de Villefranche-Darse.